Winter is here! This is the exact time to re-invent your wardrobe and look for the new purchase for warm and cosy clothes. With the winters around the corner, IndiaRush offers the latest collection of colourful and warm women stoles. From warm woollen to designer party wear stoles are easily available in different styles and designs, starting from 499 only. Grab the best offers and avail the attractive discounts on every purchase. 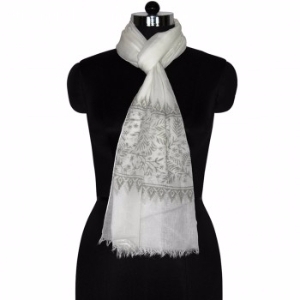 You can have the best winter stoles in attractive prices. Look for the stuff which can go along with your every outfit and give you a warm yet chic look. Enjoy winters.